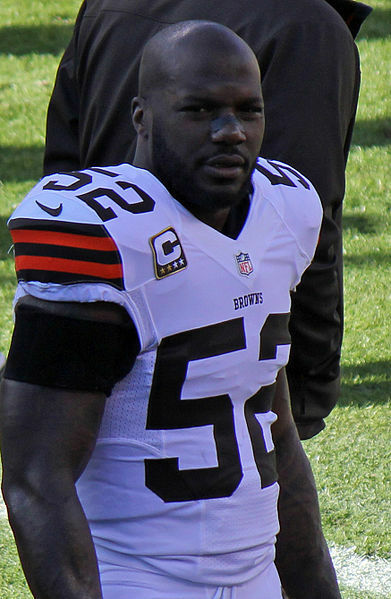 D'qwell Jackson, a linebacker with the Cleveland browns, and Akil Patterson, director of the nonprofit Terrapin Wrestling Club, were teammates on the University of Maryland football team from 2002 to 2004. 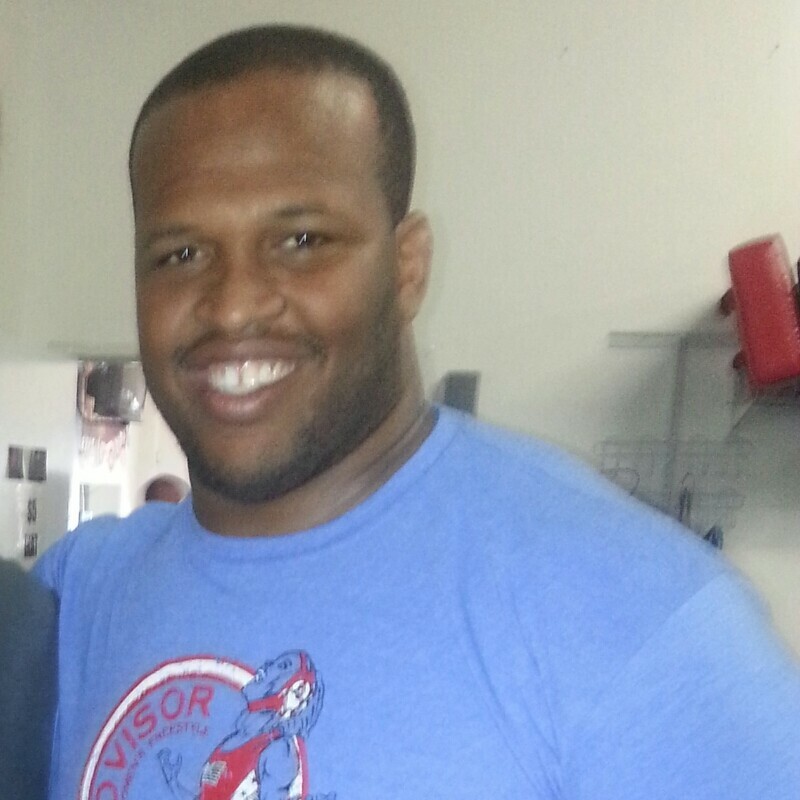 Akil: It’s been an amazing year seeing so many athletes, including several NFL players, stand up for inclusion in sports and LGBT rights more broadly. I was pleased --- but not surprised - to learn of your involvement in this work and want to know – why did you decide to stand up as an ally? D’Qwell: I would have to say that it is my maturity level that has gotten me to this point in my life. My off-season home is in Washington, DC and so many of my neighbors and friends are gay and lesbian couples that I have watched games with at both my home and theirs. It's different then when we were 19-year-old kids at Maryland. I realized that I am not the judge of anyone and although people in the locker room think it’s some big type of sin to be gay in sports I realized that we all have different lives and what we do at home and who we love is nobody else’s business. Akil: Knowing now that you played football with me, a gay athlete at the University of Maryland, how do you feel you could have been a better ally at that time? Akil: If you could go back and compare your 19-year-old self to your 29-year-old self, what would be different? D’Qwell: I think that any kid at 19 years old isn’t fully prepared to handle something like that. It’s scary for everyone involved, I mean at 19 years old coming from where I came from and having the image of what gay was, I really didn’t know how being an ally could have helped. Now with a better understanding of what homosexuality is, I think that just being there for someone and standing up for them is the most important thing. I know now when I hear homophobic or sexist language in the locker room, I am able to stop it by just talking to the person. I don’t have to get into someone’s face and argue with them because I have earned respect over the years. I think that we are learning to respect each other and really just educate people on how we can better respect our peers. If I was to go back to my 19 year old self, I would be better educated or at least ask people for information about what homosexuality is. That way I could be a better leader to the franchise and stand up for my teammates such as yourself or others if they ever wanted to come out. Akil: Maryland seems to have a ton of allies stepping up to the plate now, for example several former Terps in the MLS are standing up to support Robbie Rogers. Also, we have Kristi Toliver from the Sparks and guys like you and Domonique Foxworth committed to the cause. Yet, the university as a whole has not broadly addressed the issue of sexuality in sports in a programmatic or proactive way. What do you think the university could do to reach out to the athletes that have come out of the closet after they stopped playing and try to bridge the gap between the LGBT community and the athletic department? D’Qwell: You’re right Maryland hasn’t done anything and that, to me, is a little sad since we have so many great people like yourself who are doing great things. I think something Maryland can do is to recognize people like you, Kristi, and Robbie Rogers at a home basketball or football game. We could raise awareness by hosting rallies or even setting up events where Athlete Ally comes to campus and participates in a panel discussion about these issues. I remember every freshman class has 500 trainings about everything else on campus -- why not make something like this a part of the freshman class orientation. Akil: Wow, that’s a great idea. I think that we could reach so many more students this way. Akil: As an NFL player, do you think that the NFL front offices are more or less homophobic than the locker rooms in terms of policy vs. actually caring about the athlete as a whole? Do you think the programmatic work is being done as it needs to be in order to ensure that players are educated on these issues? D’Qwell: I don’t think a lot is being done by the NFLPA or the front office as I understand it. Right now during the rookie orientation they are not spending any real time talking about LGBT or inclusion. We don’t even talk much about women in the locker room or the respect factor. I think that if anything is going to happen it’s going to come from the players. Akil: Many athletes today who want to come out still worry more about the locker room and public criticism, what can an ally do to better help LGBT athletes feel more comfortable about coming out? D’Qwell: I think that just being there for them and standing up with them is the best thing we can all do. Really, I think an ally is a resource for LGBT athletes and the athlete should let us know how we can help. Akil: If I could go back I think I would have tried to be a stronger player by being true to myself and reaching out to my friends. I remember some guys asking me if I was gay and even telling me that me saying I was gay really wouldn’t change anything, but my fear back then, almost 10 years ago, took over completely. Knowing that I had an ally before they sat me down would have been huge because at least I would have known who I could have confided in. Akil: D’Qwell is a very different name and I know that your mother gave it to you just out of the blue with the help of her friend, but with a different name have you always felt different because of it? Do you see yourself as “different” and if so, in what ways. How has that sense of “difference”, if any, helped you become a better ally? D’Qwell: Man I am surprised you remember the story of how I got my name! That was like 11 years ago that I might have told you that. Akil: Well that’s my gift; I remember everything that we talk about. D’Qwell: Well I really have never thought about it, but I guess if anything I think that my name being different has prepared me to be great and understand the differences that we all have. It may not be a normal name but people don’t judge me for it and I learned how not to judge others. Akil: Are you ready for a teammate to come out to you and do you think the team, the front office, the coaching staff, and owners are ready to sign gay players to contracts? D’Qwell: I think we are ready in the locker rooms for a gay athlete for the most part although you may have a few people who do not like it. Generally, I think many people are ok with it. The real issue will come from the owners of the teams and the higher ups. I know they have some concerns that it will distract from the teams’ mission to win and maybe create some PR issues. Akil: Growing up, what did your family and community teach you about sexual orientation? Were they accepting? Do you think they’ve changed over the years? D’Qwell: We really didn’t talk about it that much and so all being even it wasn’t something I could really address until I got older. Akil: As a man of faith myself I struggle with sexuality and sexual orientation. Do you consider yourself a person of faith? Do you actively go to church? How does faith play into your philosophy and actions as an ally? D’Qwell: I grew up in the South and I went to church on weekends. Although I’d like to think that because of my personal growth, I got past what gay was. When I was growing up gay was just saying you had HIV/AIDS and you were going to die. I know it’s a little crazy when you think about that now, but I didn’t know any better. I think that my faith is different than what I learned in church and because I am a man that understands and knows that he cannot judge others I think it’s important to realize that I don’t want to hate someone for being different. My friend, who is very religious, says he will not speak out against what he doesn’t always agree with because who is he to stand in some else’s way? Akil: Donté Stallworth recently admitted that he was homophobic when he was younger, but as he grew up, his attitudes changed. What has your experience been in terms of your personal attitudes and how much do you think race plays a part in your views? D’Qwell: You know our culture has become a little preoccupied on positions and material things, as I think this is the real issue that we face. Because we judge one another on the things we have or what we look like, we have trouble in our growth and development. My views changed because I was able to learn from people around me and my life experiences. Akil: Some African Americans say that the LGBT fight for equality is the same as the civil rights battle. Others in the community disagree with the comparison. What do you think? D’Qwell: It’s not the same and although we may be fighting for equal rights there isn’t much I can do to explain my skin color, so I wouldn’t say it’s the same. Akil: I am 100% with you because although I fight for equal rights I can’t see the LGBT movement the same as the civil rights one. Many of my family marched with Dr. King, and Malcom X ate dinner with my family. They had dogs attack them and there wasn’t much they could do because they were black at the start and end of each day. I don’t have to open my mouth and tell the world I’m gay, but I can’t hide my skin color. Although, I would not want someone to hide their sexual orientation or gender expression out of fear. Akil: A lot of attention is being given to being on the down low - African American men who identify as straight but sleep with men. Do you think there is more pressure on African American males to identify as straight? Why or why not? D’Qwell: To tell you the truth I know the term but I really haven’t talked about it a whole lot. It’s something that I haven’t had to deal with. Maybe you’re better off talking about that? I will say that a man in our community wants to be able to provide for his family and in doing so wants to be seen as a strong individual. I think all men want to be seen in a positive way and if they aren’t then they would feel differently. Akil: Well it’s simply a yes. I think our community as a whole wants to be straight. I know that many gay males identify with two types of man in the gay community. One is feminine and the other is masculine. If you're feminine you’re more of a "lady" or "diva," while masculine is the guy who exemplifies the role of a straight man. I am able to live in the straight world because of what I would call masculine privilege. But trust me it’s not because I am faking anything, but rather because that is who I am. Akil: In the NFL, would it be easier for an African American player to come out or a white player? D’Qwell: Man I am stuck on that and really don’t know. It’s hard to say one way or another. I have a gut feeling but I really couldn’t tell you. Akil: Ok, then I don’t want to put any pressure on you so let’s make it more sports-related. Who would it be easier for to come out, a kicker or an offensive lineman? D’Qwell: Easy, the kicker! That is because they have different schedules and don’t always have to be with the team as much and for long periods of time. Akil: Why is it important for African American athletes, specifically, to voice their support of the LGBT community? D’Qwell: It’s important because, as I said before, we as a culture put so much pressure on each other and now more than ever we need to stand up for what we believe in. Akil: It’s been a long time since I strapped up the cleats and hit the pads, yet to this day I know I left my mark in sports by being myself. And because of it and the things I went through with teammates, I have a voice now in some very important work for equality and for youth. When you look back on your career one day like I have done, what would you say is your most important gift to the sport and why? D’Qwell: When I leave my mark it will have nothing to do with football! I want to leave what I have learned in the minds and hearts of others so that they can go out and give back what they have learned from me. I want to be known as a man of his word and although some people might call me annoying, I want to be the first one to come over to the new guy and pass on what I have learned so they do not make the same mistakes that I did. For more information on Athlete Ally, click here.